Your company has lots of locations and guess what? They all need to be connected. That has traditionally meant big bucks and some pretty heavy IT staffing to make sure that all the phone calls, file transfers and applications run transparently for your employees and customers. It’s more than possible that you’ve long settled for less capability than you really need just because of the sheer cost involved. Does it still need to be that expensive to get connected? Perhaps not so much anymore. 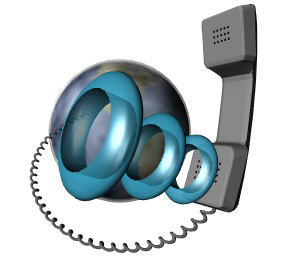 The traditional business connection has been the telecom private line. These started out as T1 lines when 1.5 Mbps was big bandwidth and moved up to DS3 and then OC3 and higher bandwidth SONET fiber as capacity needs increased. All of these were sold as point to point dedicated private lines. One line from headquarters to each remote site. The more sites, the more lines. Dedicated private lines weren’t cheap to begin with. There is also no economy of scale. Two lines cost twice as much as one line. Lines in rural areas cost more, perhaps a lot more, than the same line downtown in a big city. How do you interconnect a dozen sites so that they can all talk and exchange data? You set up routers and PBX or IPBX systems at HQ and have your IT team operate a fully meshed network. MPLS or Multi-Protocol Label Switching networks were designed to let you outsource the big multi-site network. A private operator runs a multi-tenant network using a proprietary protocol that routes traffic only on this dedicated network. It’s reasonably secure and has all the bandwidth you need. Best of all, you are only using part of the network’s capacity so you only have to pay a fee for the portion you need. You also don’t have the network management headaches. The MPLS operator handles everything. You still have the cost of private lines from each location to the net, but not the expense of private interstate or international long lines. The big, beautiful public Internet connects just about everyone, everywhere. There’s more capacity than all of us will ever need. Plus, it’s cheap. Your small fraction of the cost of running the Internet is built into your connection charge. It’s inherently a mesh network, so all you need to do is get a broadband connection at each of your locations and whatever servers you need back at the home office. You might even rent servers in the cloud and offload that responsibility. Now, the downside. Cheap doesn’t mean cheap and perfect. You and everyone else in the world are on this network and your critical business apps have no more priority than than binge watchers in a video feeding frenzy. Security is a joke. Every scam artist has tools to hack the web or make your life miserable by jamming your servers if they can’t rob you blind. Is this Internet really worth the trouble? A plain vanilla Internet connection may not be all you need for your business. It depends. SSL security makes it possible for millions of people to use their browsers to bank and buy things with confidence every day. You can install security appliances in line with your servers to mitigate denial of service attacks and intrusions. You can even outsource this complication by ordering managed security in the cloud. How about priority service for sensitive applications like VoIP telephone calls and business critical cloud services? You may or may not find Internet performance good enough. One tradeoff is to use dedicated last mile connections versus shared low cost broadband. The core of the Internet runs pretty fast. It’s that local connection, especially the lowest cost ones, that get oversubscribed and bog down. Why not get the best compromise by using both? Your really, really sensitive packets may not be all that bandwidth demanding but are highly latency dependent. Meanwhile, the bulk of file transfer activity, video streams, email, and page views work just fine over low-end broadband connections and are good with typical broadband latency. A newer technology called SD-WAN or Software Defined Wide Area Networking employs a smarter router connected to two or more Internet connections to pick and choose what packet goes down what path. Dedicated T1 lines or a low capacity MPLS network service can handle phone calls while a higher speed cable broadband line takes care of general web access. If you have been frustrated by the high cost of connecting your multiple business locations, it’s time to take another look as line prices have plummeted and new technology offers higher performance from cheaper connections. See what’s available in the way of cloud communications, SD-WAN, MPLS networks and dedicated and shared broadband lines that can give you a lot more capacity for your limited budget now. Information Technology has changed dramatically in recent years, as has the business enterprises it supports. Most dramatic has been the move to cloud based computing and everything as a service. Last to change, however, has been the way everything connects together. Now that is also being transformed, driven by cost and cloud architectures. Before MPLS, there were dedicated point to point line connections. Every company had one or more T1 lines and eventually DS3 bandwidth and fiber optic OCx circuits. 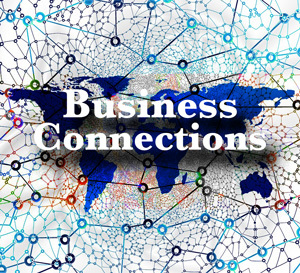 Connecting two business locations together is pretty straightforward. Just order a line that runs directly between them and use that as another portion of your network. Where it gets complicated and expensive is when you add line after line after line to connect far-flung offices, factories and warehouses. Each of those lines has a monthly lease fee dependent on distance and bandwidth. Each has to be integrated into the network as one big mesh or segmented for traffic control. You soon find yourself becoming a virtual telecom office running your own WAN (Wide Area Network). Two competing technologies have been developed to make long distance data connections more available and less costly. The first is the Internet. It’s a public network that is nearly universal and cheap as chips, as they say. The problem is that performance is erratic and security is non-existent. The other is a smaller private version of the Internet called MPLS or Multi-Protocol Label Switching networks. Instead of one giant internet, you have a multiverse of smaller networks, each operated by an independent commercial vendor. It’s strictly pay to play. Being on one MPLS network generally does not give you access to any other, although there are services that will mesh or combine diverse MPLS networks. More often, you pick the particular MPLS network that has nodes near locations you need to connect. The beauty of MPLS networks is that performance is guaranteed and security is orders of magnitude above the Internet. In fact, MPLS is sometimes called MPLS VPN just because the unique protocol makes it harder to hack. Your connections are pre-determined so that you can only talk to your own locations. Others have no way to access your data and you don’t even know that you are sharing the network. All of this comes at a price, but it is a much lower price than owning a multitude of leased private lines. For those who don’t have the budget or need to connect with anyone and everyone around the world, especially the general public, the Internet is really the only decent option available. You have access to your customers and suppliers wherever they may be. Connectivity and core bandwidth have improved to the point where performance is generally pretty decent if your applications aren’t too demanding and you don’t mind some variability. Even security can be beefed up to an acceptable level by employing VPN technology such as SSL used in browsers. What SD or Software Defined WAN offers is a hybrid of private line, semi-private MPLS network and public Internet connections all at once. Each has their advantages and disadvantages. Private lines are rock solid, limited to one path only, and pricey. MPLS networks offer a lower cost while maintaining circuit performance and a wide area of connectivity. 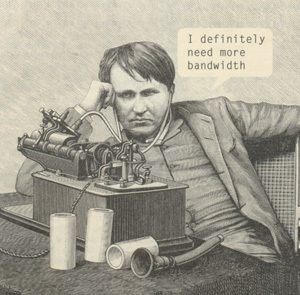 The Internet is low cost bandwidth and connects just about everywhere. Can you possibly connect all of these together? 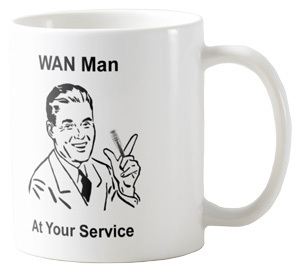 That’s the job of SD-WAN. The Software Defined part is the intelligence that manages all of the different lines that you plug into it. You or your service provider explicitly tell the SD-WAN controller that VoIP phone calls go over the private lines or MPLS network and the file backups go over the Internet. If you lose a private line or MPLS connection, the system can create a VPN tunnel through the Internet to route all your traffic instantly. You’ll at least be able to keep doing business, albeit with some performance loss, until your high performance paths are restored. SD-WAN can be a big money saver by knowing what traffic is either latency sensitive, bandwidth demanding or highly secure, and what traffic isn’t that critical or demanding. 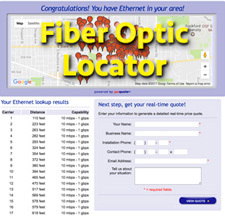 It will route packets through the lowest cost routes consistent with acceptable performance. WAN optimization software can also be included as part of the control system to further improve performance and reduce costs. Have your business needs changed recently or are you suspicious that you may be spending much more than necessary because of the piecemeal way your WAN was constructed over the years? 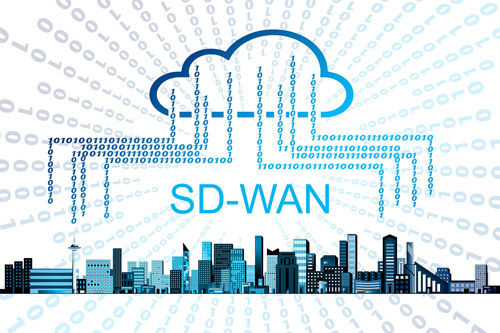 Now would be a good time to take a look at new SD-WAN and other connectivity options that have become available for your business locations.